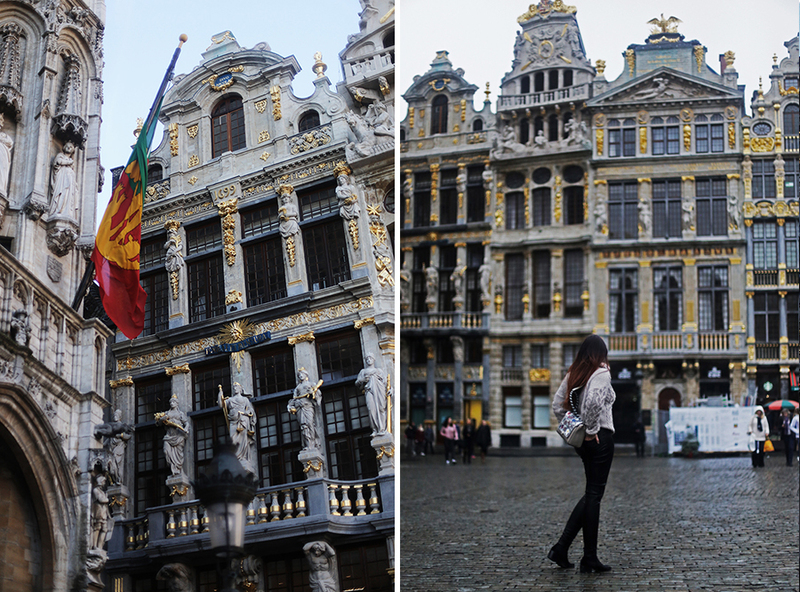 Take your morning coffee at Hotel Metropole* before a leisurely walk through the gilded opulence of Grand Place for the customary #Brusselsselfie. Try, if you can, to ignore the decadent scent of chocolate and waffles that seem to be the signature fragrance of Brussels - but if you must pause for some liquid gold make a pit stop at Elisabeth, an independent chocolatier with the most bijou little gems (my personal favourite are their matcha chocolate bars). *but don't linger: as lavishly gorgeous as the café and bar is, the hotel is undergoing a much-needed renovation to bring the rooms up to scratch. "...well, isn't this a Grand Place?" and the Breadhouse building (sadly, not actually made of bread). 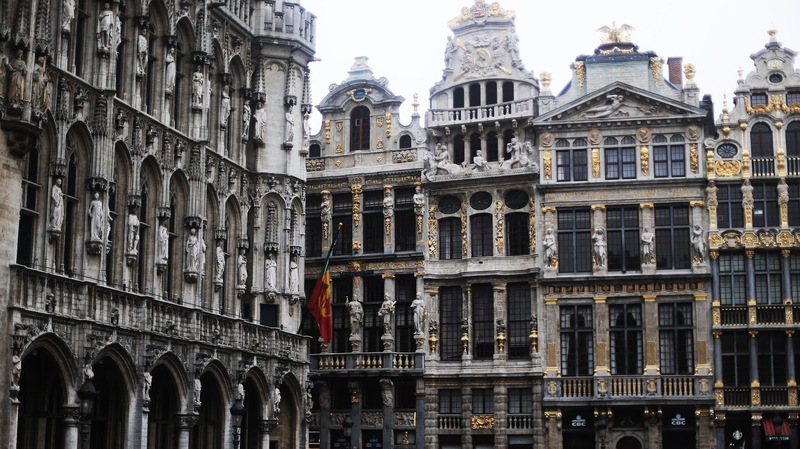 Mere footsteps from the cobblestoned alleys off Grand Place is Les Galeries Royales Saint-Hubert, the original shopping arcade that inspired other famous 19th-century shopping arcades like the Galleria Vittorio Emanuele II in Milan and The Passage in St Petersburg. 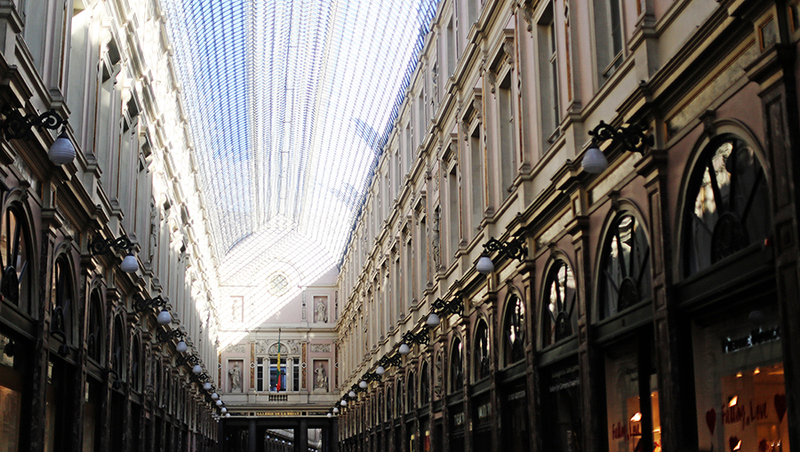 Take cover from the elements in this filigreed, refined alley of retail heaven, where you can shop in relative serenity for Belgium's more famous exports by Pierre Marcolini and Wittamer. ...the many chocolatiers of Les Galeries Royales Saint-Hubert: where diets go to die. Fun fact: despite what their names suggest, Godiva and Leonidas are Belgian chocolates, not British nor Greek. 1) This little guy is really taking the piss. and 3) international vibes at Les Cercles de Voyageur. No doubt you'll be absolutely famished by now. If you've just come from Les Galeries Royale Saint-Hubert, seek nourishment at nearby Restaurant Vincent for some mussels for Brussels. For a more worldly ambience, travel-themed restaurant Les Cercles du Voyageur serves up an eclectic menu with German-sized portions with a side of cultural events in the evening. 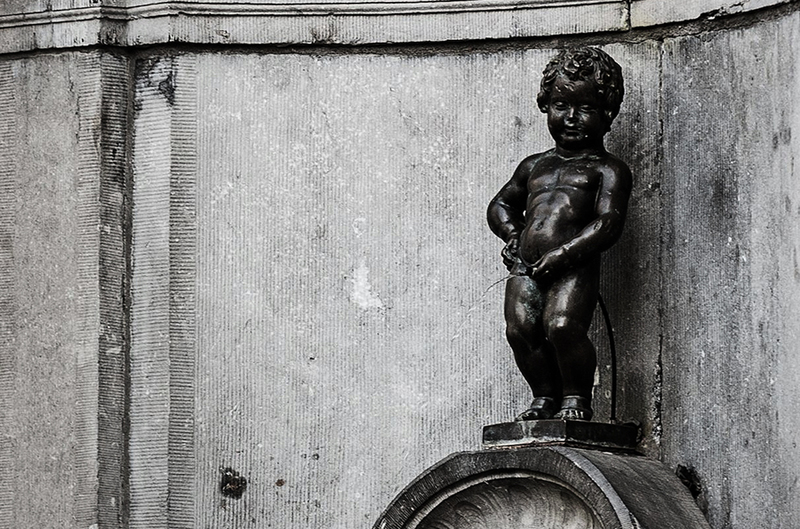 On your way out, make the mandatory pitstop at the curious Manneken Pis - the 400-year old bronze boy peeing into a fountain (allegedly inspired by a real-life merchant's own son who wandered off and was shortly found happily urinating in the streets) who may or may not be clad in a festive costume from his vast wardrobe (sans pants, of course). Right, let's get some culture in you (although IMHO eating is plenty cultural for me). 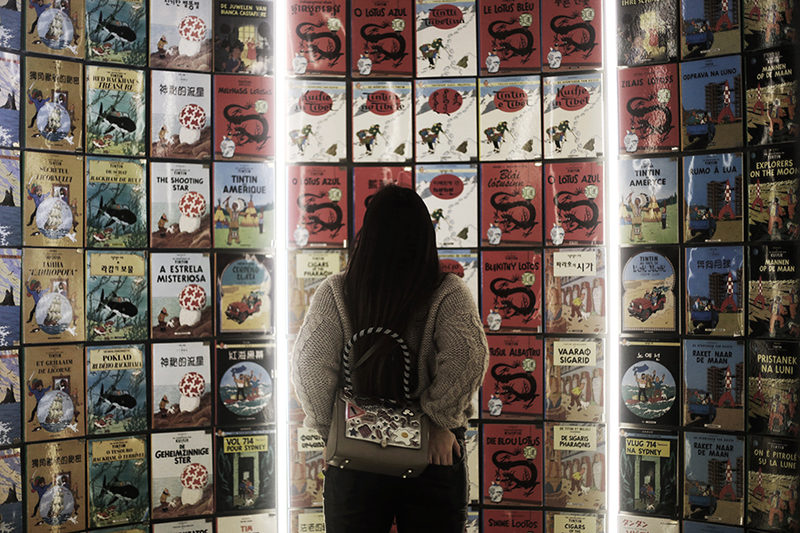 Fans of Tintin, make the journey of a lifetime to the real-life Rue du Labrador and pay homage to the world's most famous Belgian at Musée Hergé. It's quite the journey from central Brussels - you have to take an hour-long train from Brussels Central station to Louvain-la-Neuve. But hey, hasn't the boy reporter and his friends taught us that there's nothing more exhilarating than adventure? ...complete the experience by listening to the cartoon's opening sequence while perusing the exhibits. If you're not up for a trek to the suburbs there are other works of art you can visit at Musées Royaux des Beaux-Arts (Royal Museums of Fine Art) or the wonderfully wacky Magritte Museum. 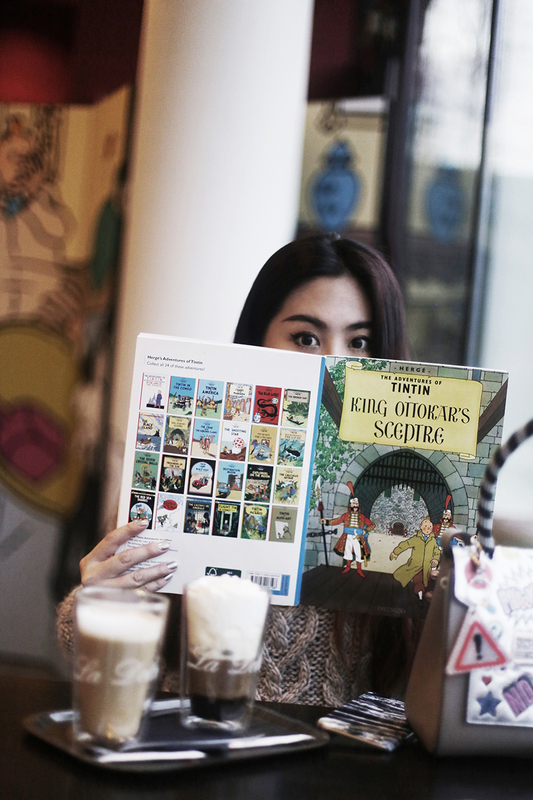 Should you need a comic fix afterward, put your feet up at nearby Comics Cafe on Place du Grand Sablon - with original comic art on the walls and a life-sized Tintin and Snowy it's the next best thing to visiting the Hergé Museum. If the intoxicating, perpetual aroma of chocolate and waffles hasn't already made it clear that Brussels is the worst destination for anyone looking to shift a few (or many) pounds then the city's culinary offerings will undoubtably cement Brussels as a destination for foodies. Take your pick: fine-dining at Comme Chez Soi or nearby Alexandre. 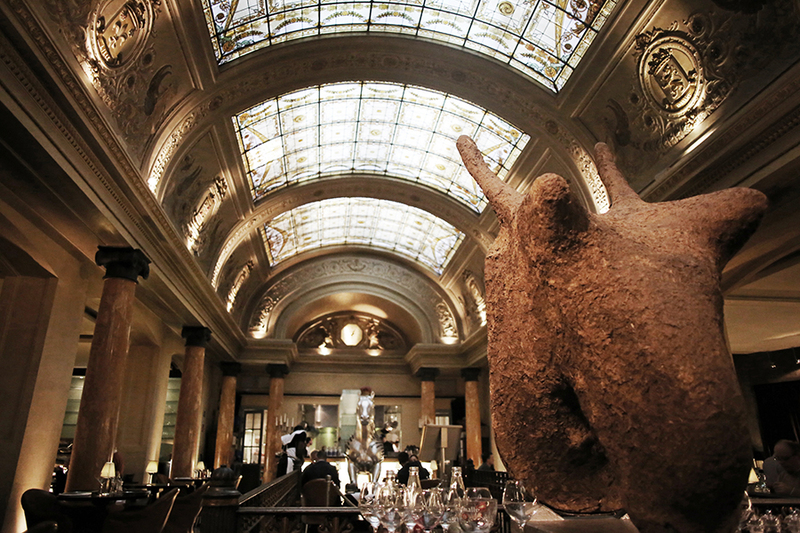 No less upscale is the sumptuous Belga Queen, where I saw out Brussels in style over a fresh, steaming platter of lobster and scallops swimming in butter. Save yourself the journey to the hideously-modern Atomium. Instead, embrace the chaotic bric & brac-dotted labyrinth that is Goupil Le Fol. 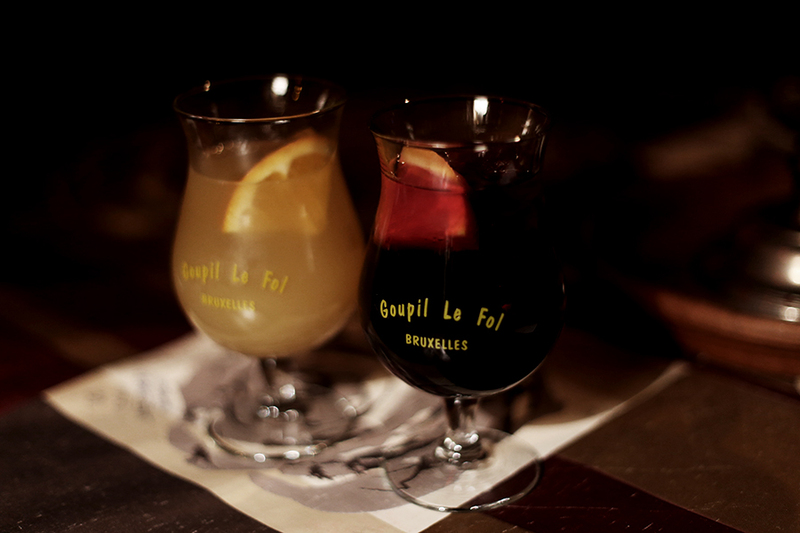 Their signature fruit wines is the perfect after-dinner aperitif - the raspberry wine is quite the sweet treat! 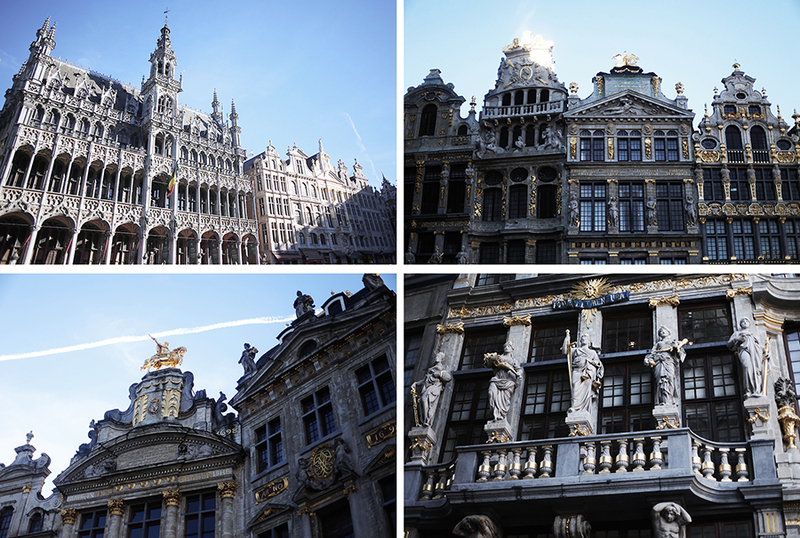 Delightfully bursting at the seams with the city's shopping, cultural, and culinary offerings, its time to bid farewell to Brussels. 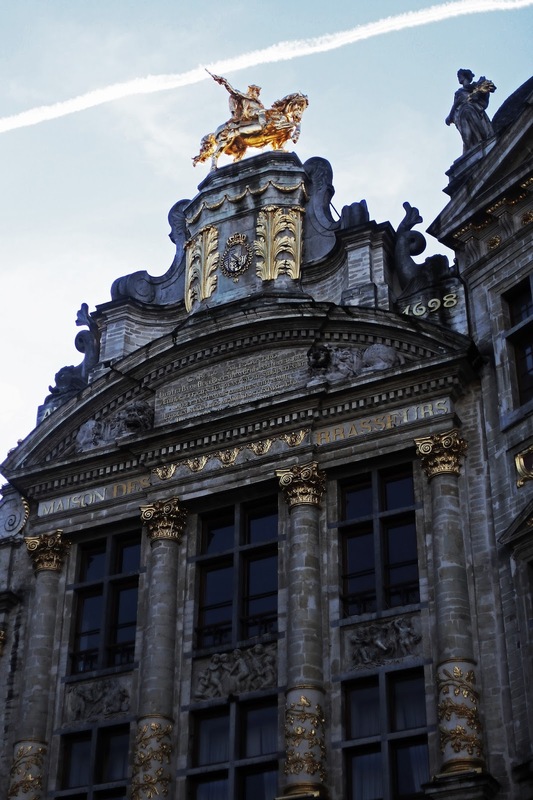 Take one last (and much-needed) walk around Grand Place - the buildings are simply spectacular by night, incandescent as they are lit up and reflected in the cobblestones like the moon on the darkest ocean.